We have created six new wallpapers that contain key emergency contacts for you and your family. 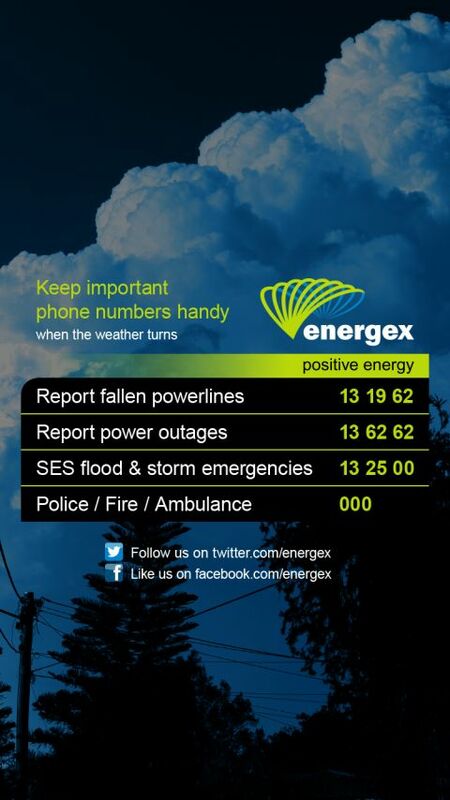 Wallpaper 1: Storm clouds with Energex important numbers. CLICK OR TAP HERE TO DOWNLOAD. 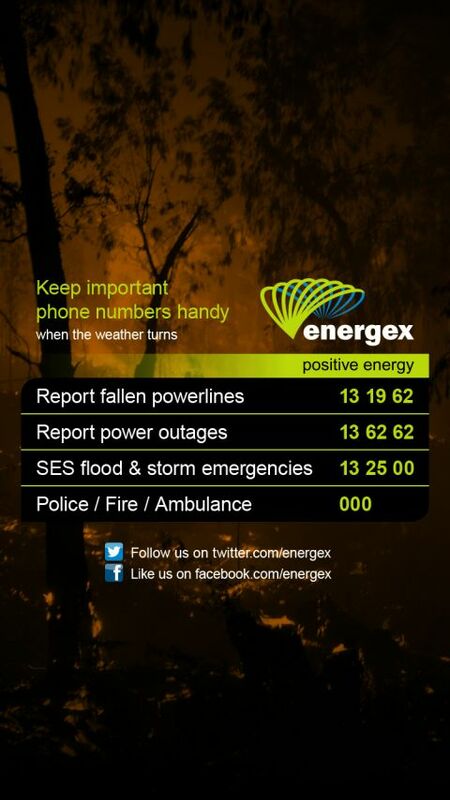 Wallpaper 2: Bushfires with Energex important phone numbers. CLICK OR TAP HERE TO DOWNLOAD. 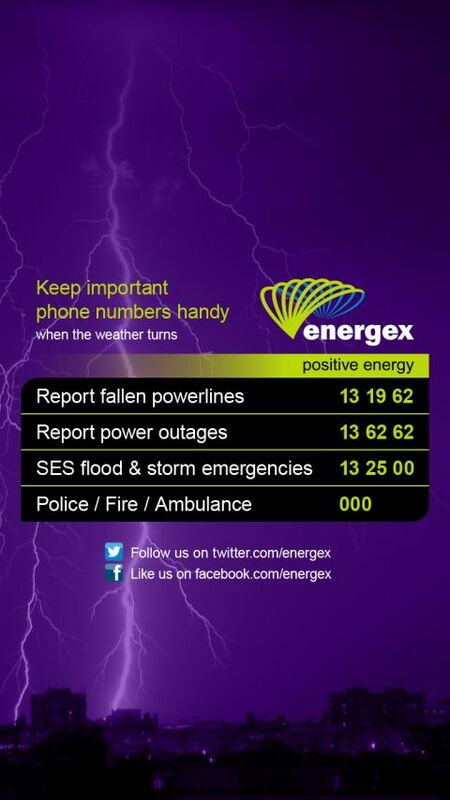 Wallpaper 3: Lightning strikes with Energex important numbers. CLICK OR TAP HERE TO DOWNLOAD. 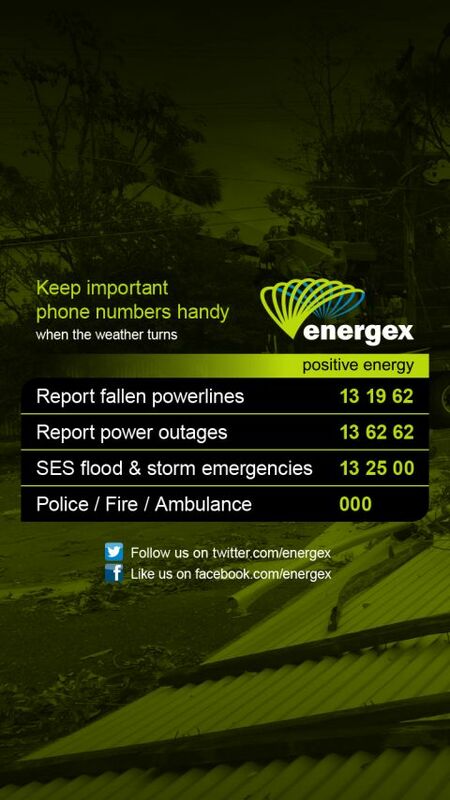 Wallpaper 4: Storm damage with Energex important phone numbers.CLICK OR TAP HERE TO DOWNLOAD. 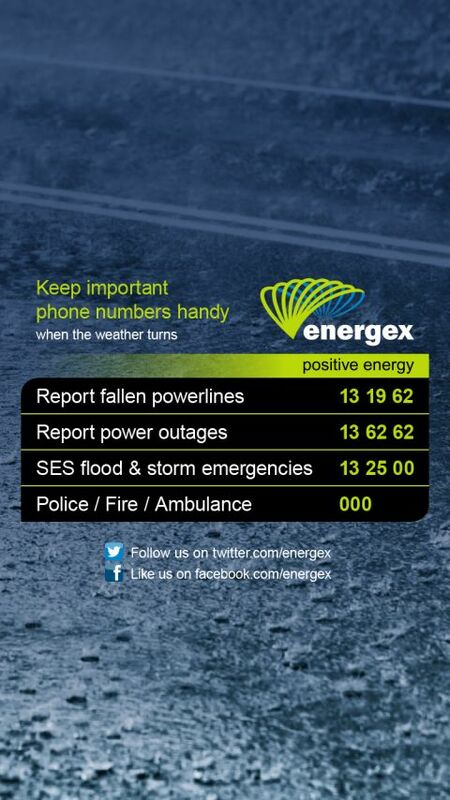 Wallpaper 5: Heavy rain with Energex important phone numbers. CLICK OR TAP HERE TO DOWNLOAD. 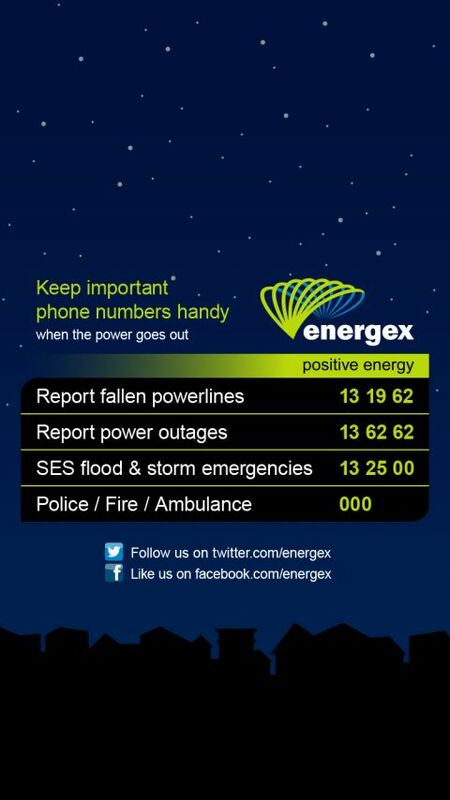 Wallpaper 6: Starry night with Energex important phone numbers. CLICK OR TAP HERE TO DOWNLOAD.